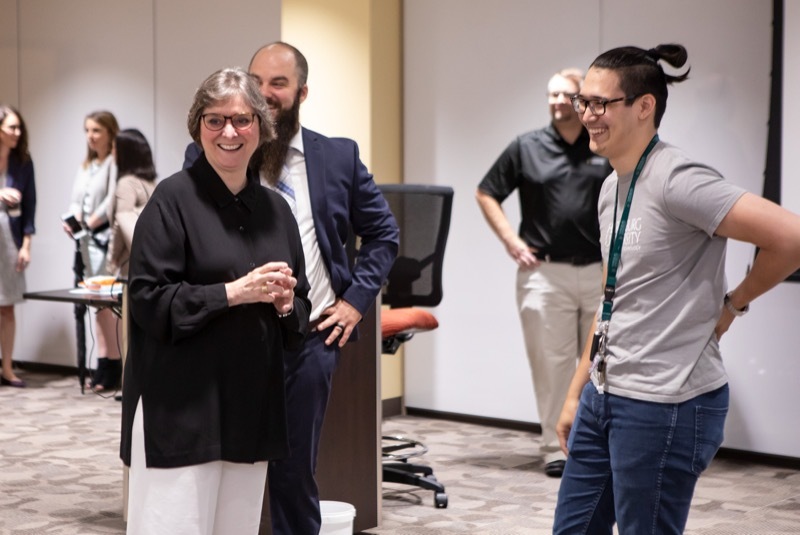 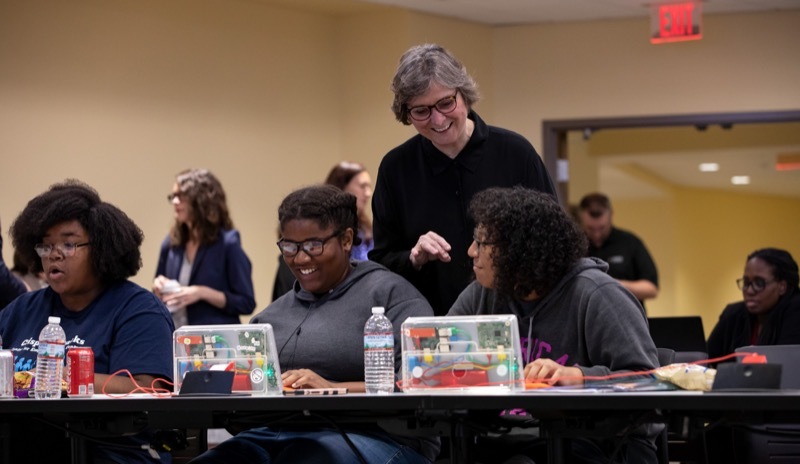 First Lady Frances Wolf today joined students, educators and members of the Pennsylvania Commission for Women at Harrisburg University of Science and Technology to highlight a $20 million investment Governor Wolf is making in STEM and computer science learning through his PAsmart initiative. 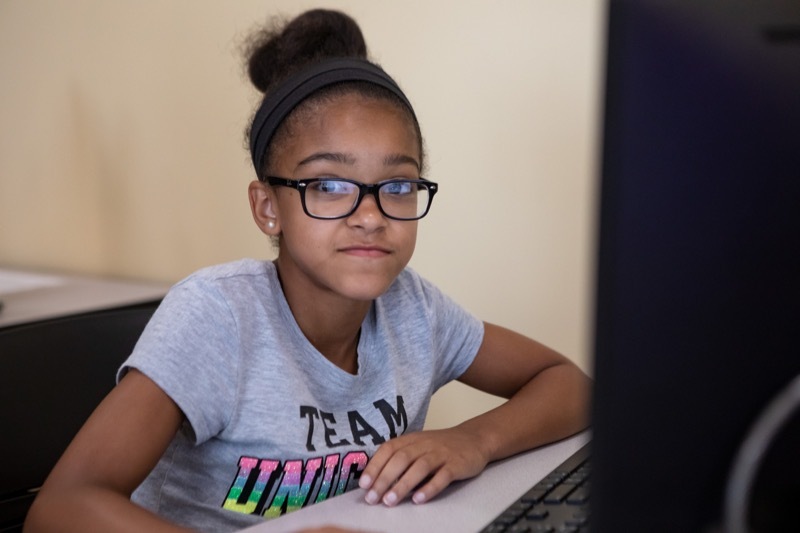 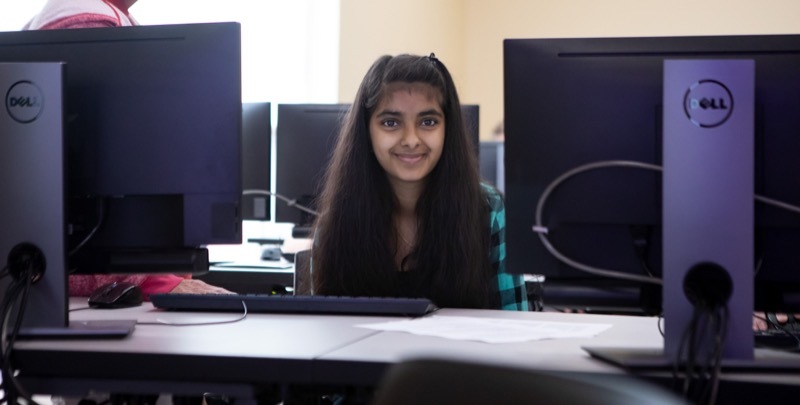 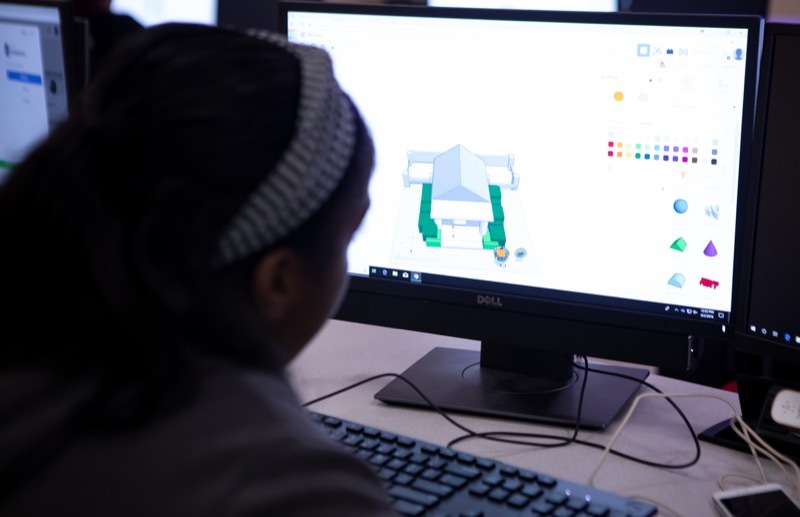 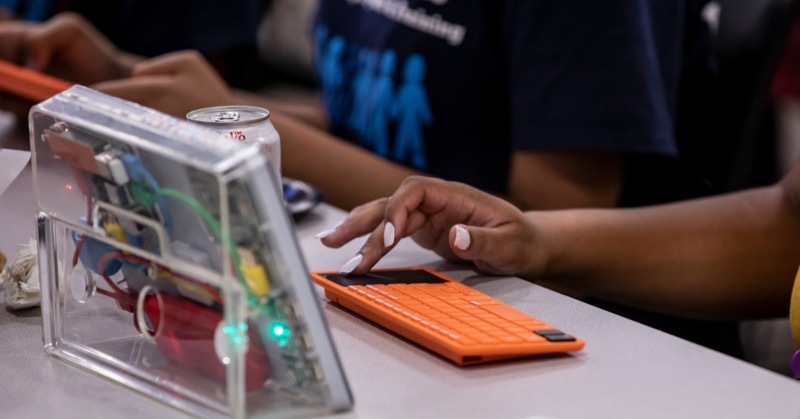 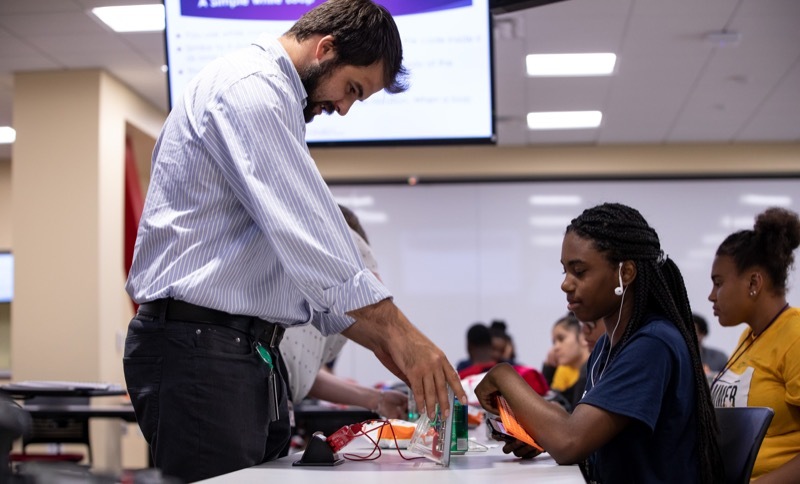 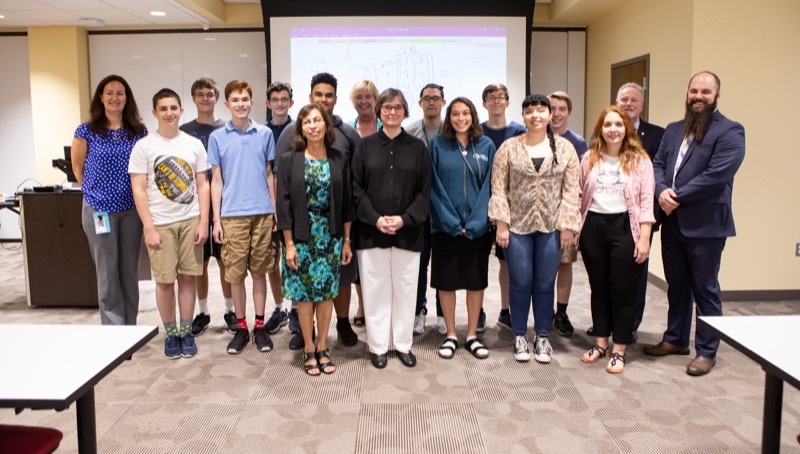 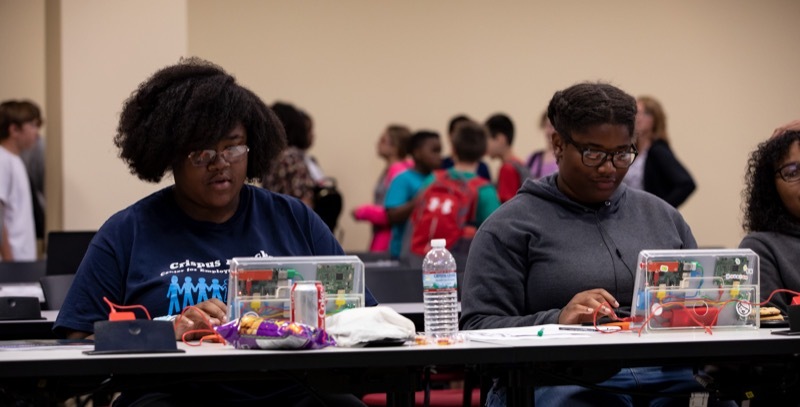 The First Lady visited with high school and middle school students who are participating in STEM Summer Exploration Camps focused on various topics including coding, biotechnology and 3D modeling. 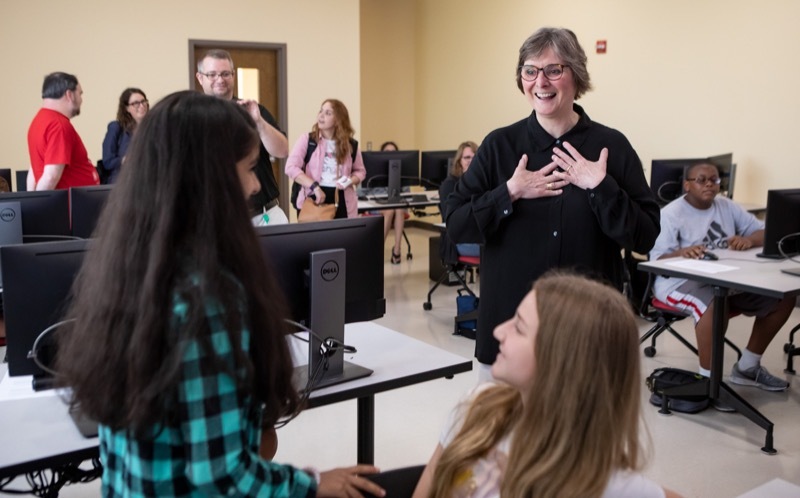 During the visit, the First Lady emphasized the need to increase participation of girls and young women in STEM education. 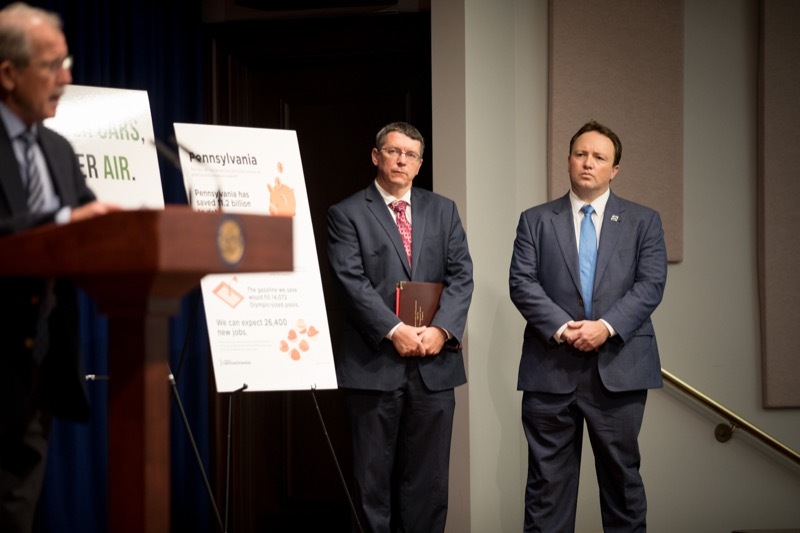 Middletown, PA - The Pennsylvania Lottery sold a record of more than $4.2 billion in games in the 2017-18 fiscal year, from which it paid a record of more than $2.7 billion in prizes to winners and generated more than $1 billion to benefit older Pennsylvanians. 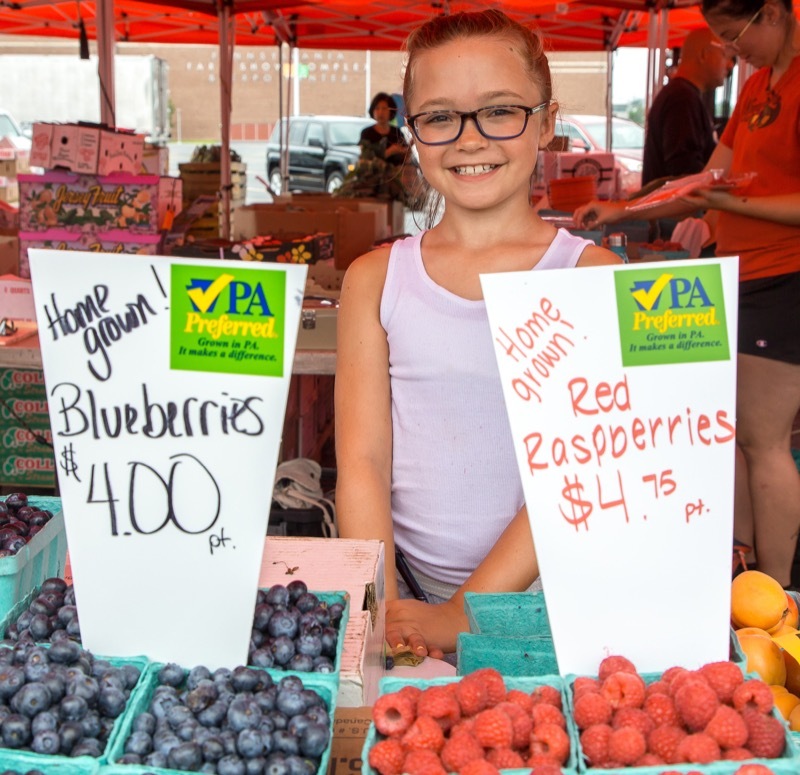 Harrisburg, PA - Agriculture Secretary Russell Redding today announced that as part of the Wolf Administration's strategy for a hunger-free Pennsylvania, eligible residents can access fresh, Pennsylvania-grown produce - at no cost -- through the Women Infants and Children (WIC) and Senior Farmers Market Nutrition Programs. 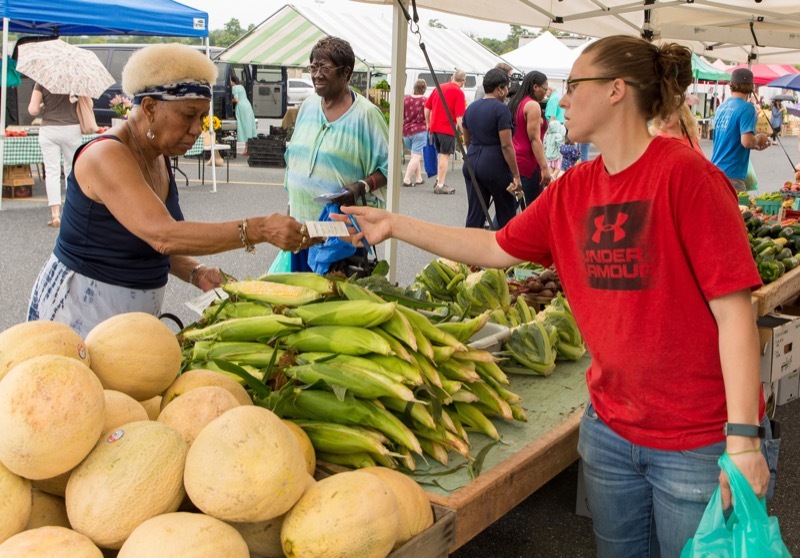 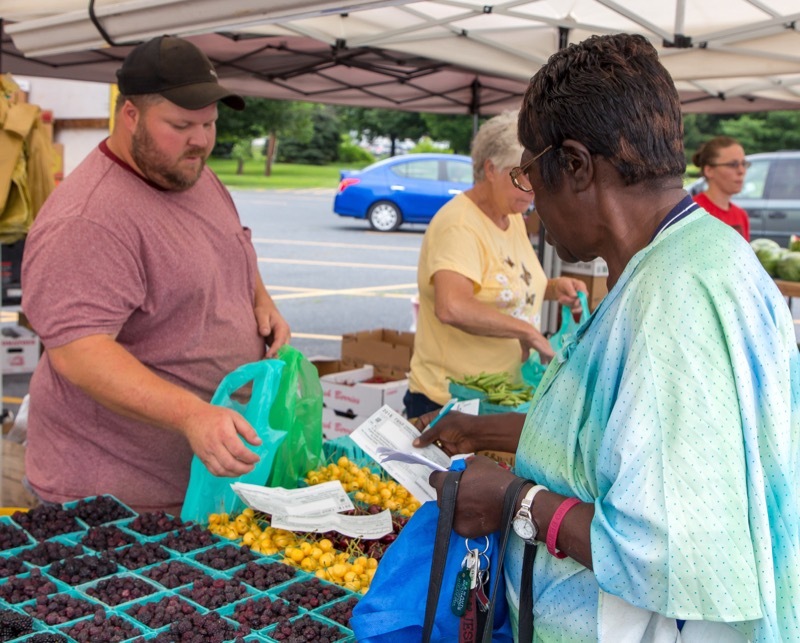 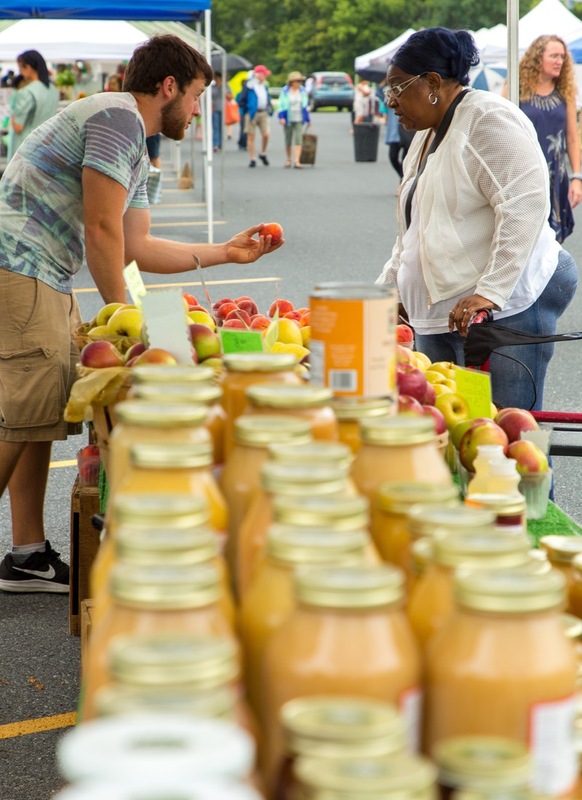 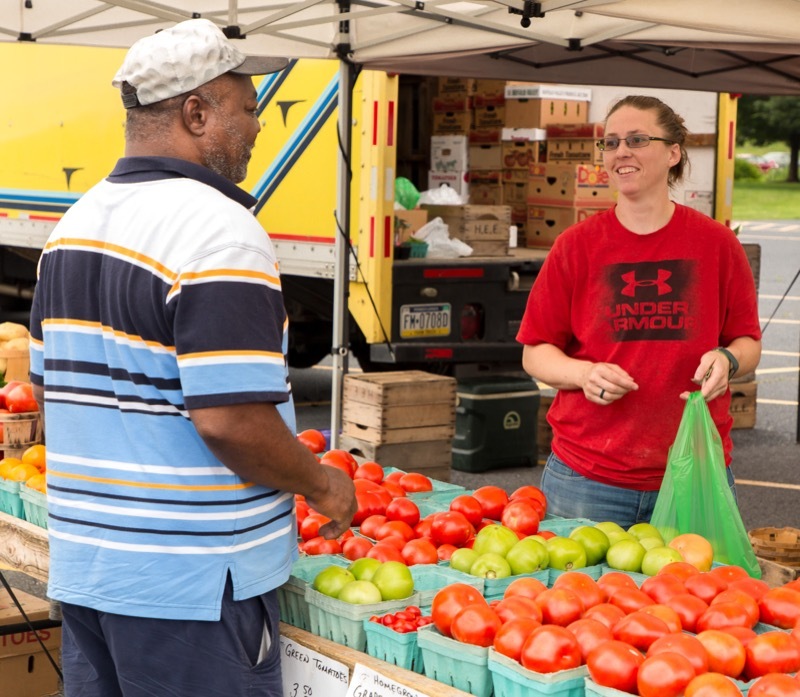 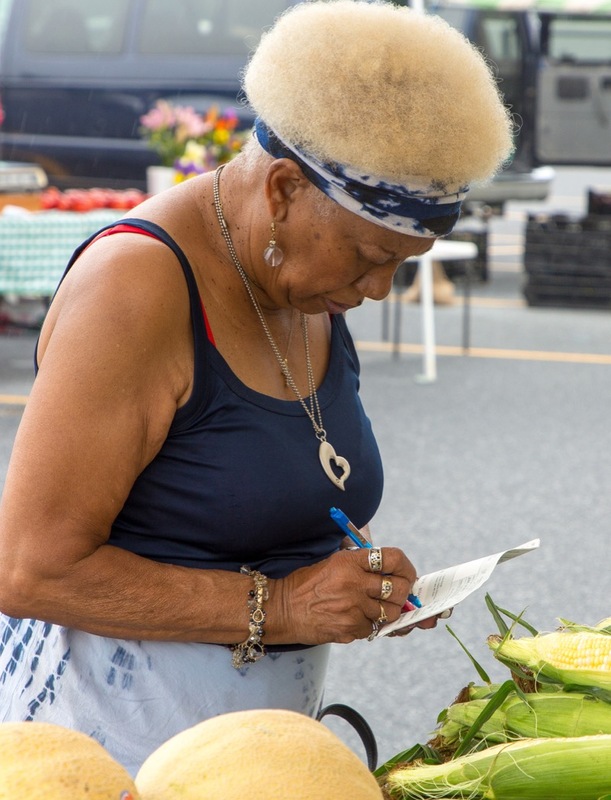 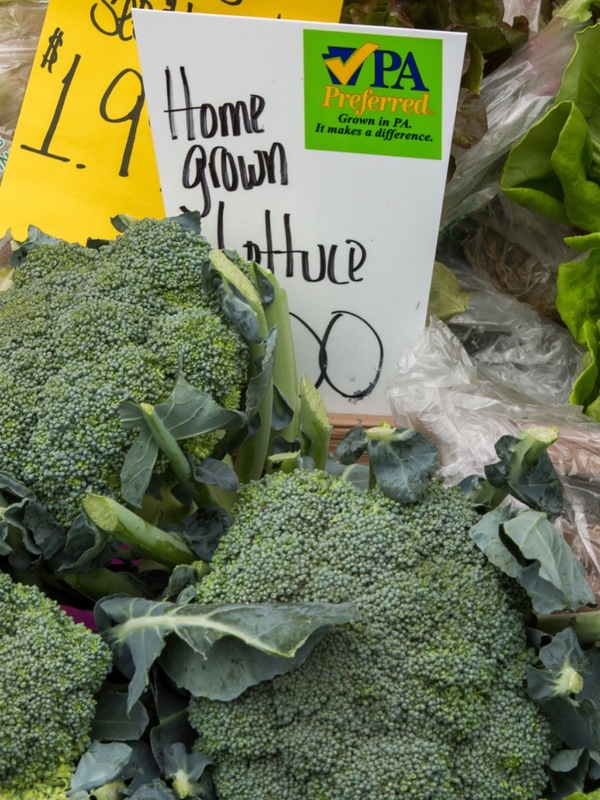 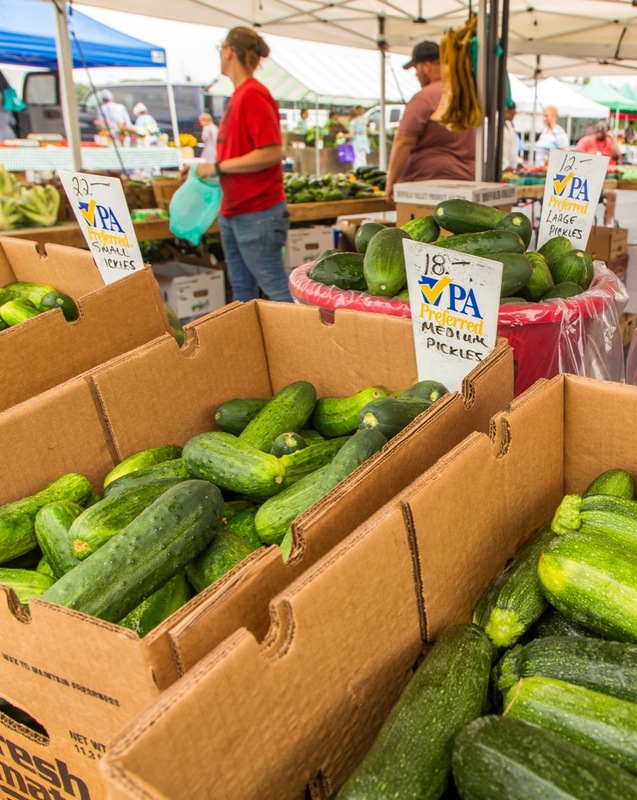 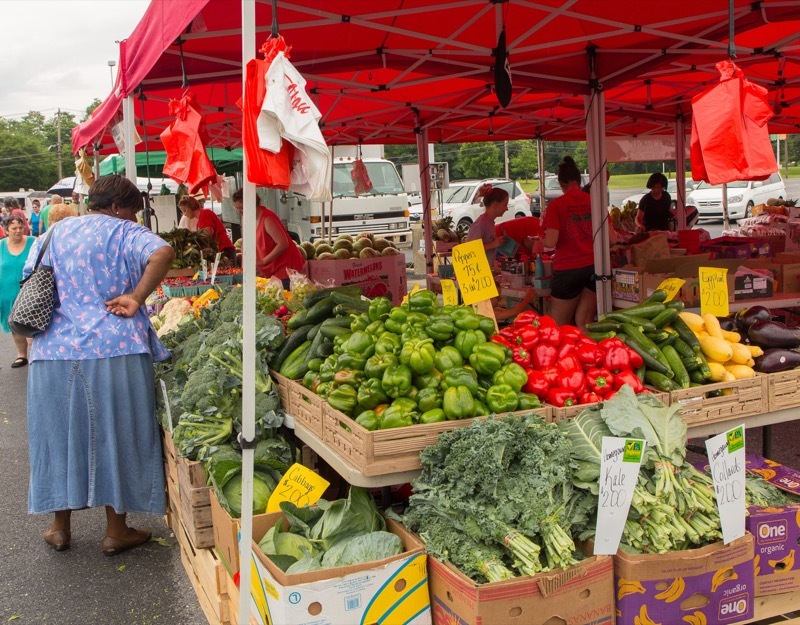 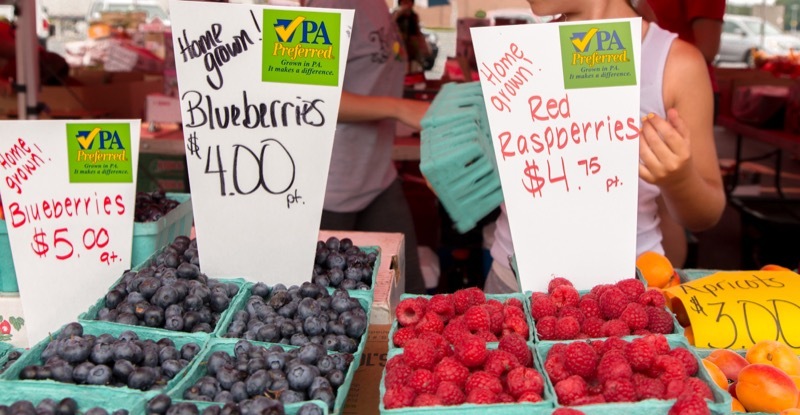 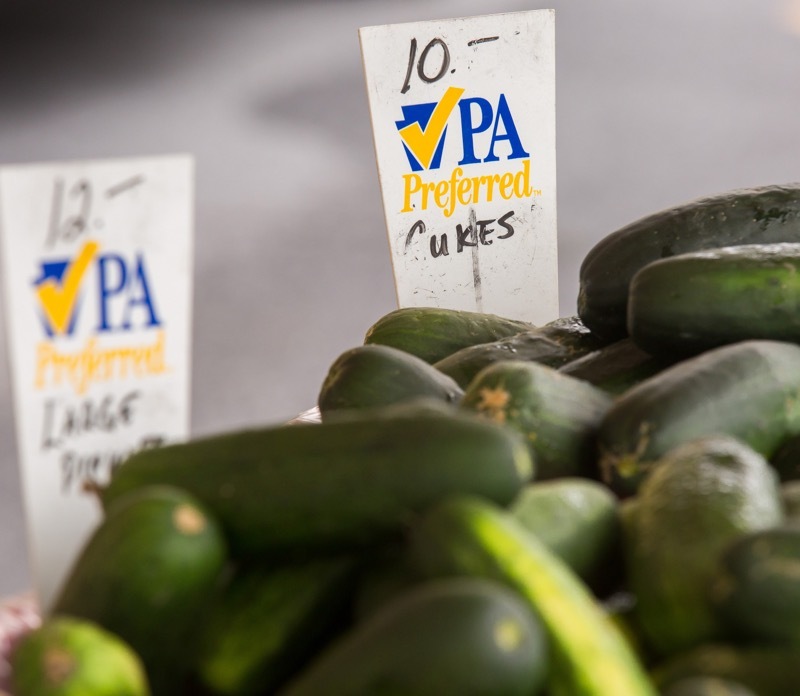 Agriculture Secretary Russell Redding today announced that as part of the Wolf Administration's strategy for a hunger-free Pennsylvania, eligible residents can access fresh, Pennsylvania-grown produce - at no cost -- through the Women Infants and Children (WIC) and Senior Farmers Market Nutrition Programs. 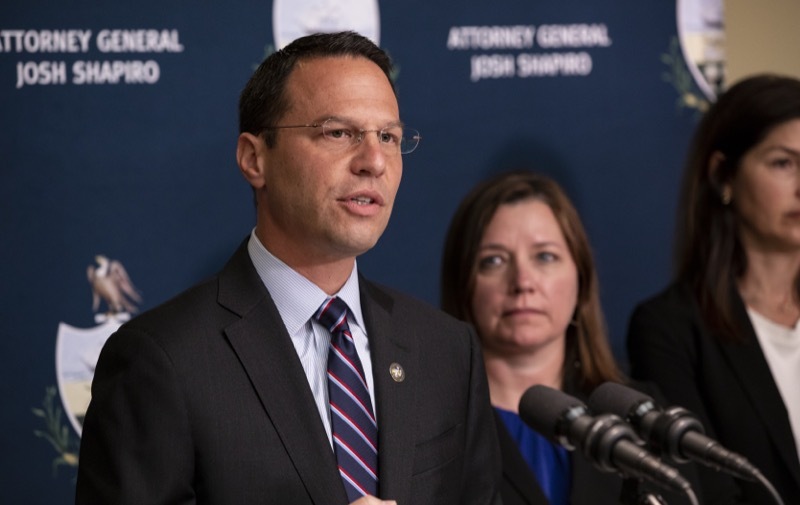 A Catholic priest in the Diocese of Greensburg, John Thomas Sweeney, pleaded guilty today to committing a sexual assault against a 10-year-old boy. 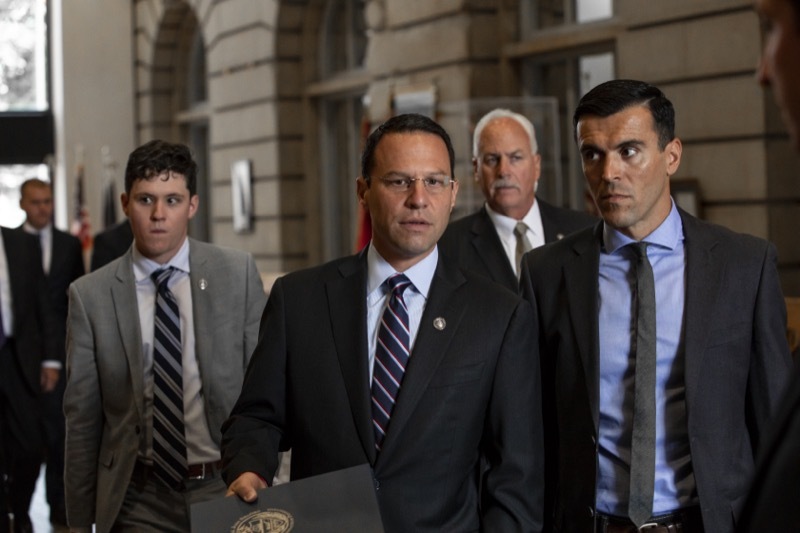 Sweeney pleaded guilty to one count of indecent assault at a hearing in Westmoreland County Common Pleas Court. 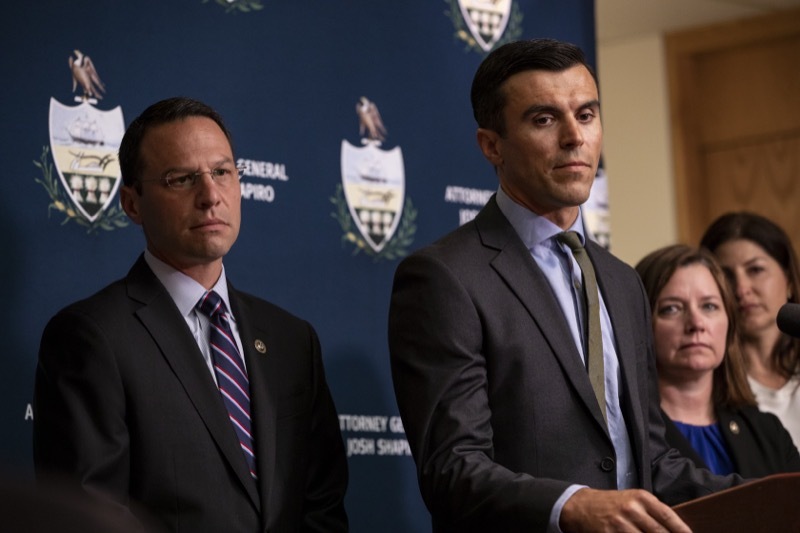 Sweeney was arrested and charged with assault last summer by the Office of Attorney General Josh Shapiro. 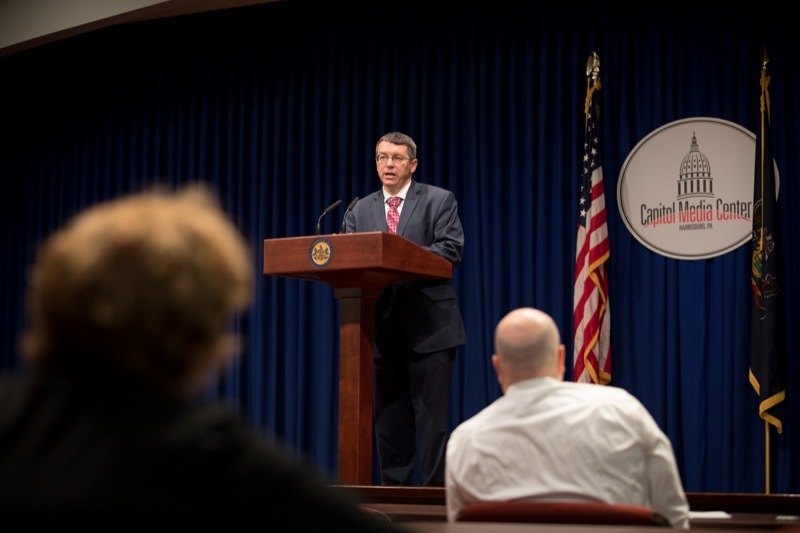 Harrisburg, PA - The Wolf Administration today issued grower/processer permits to 13 entities for Phase II of the Medical Marijuana Program. 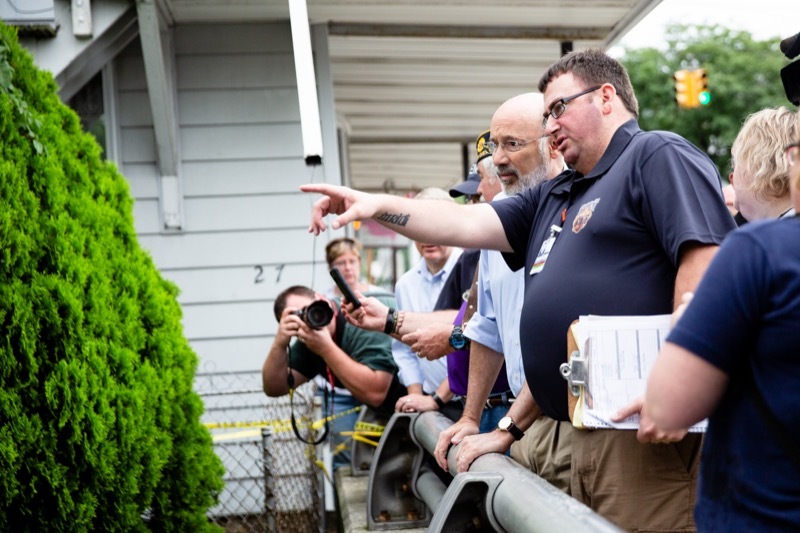 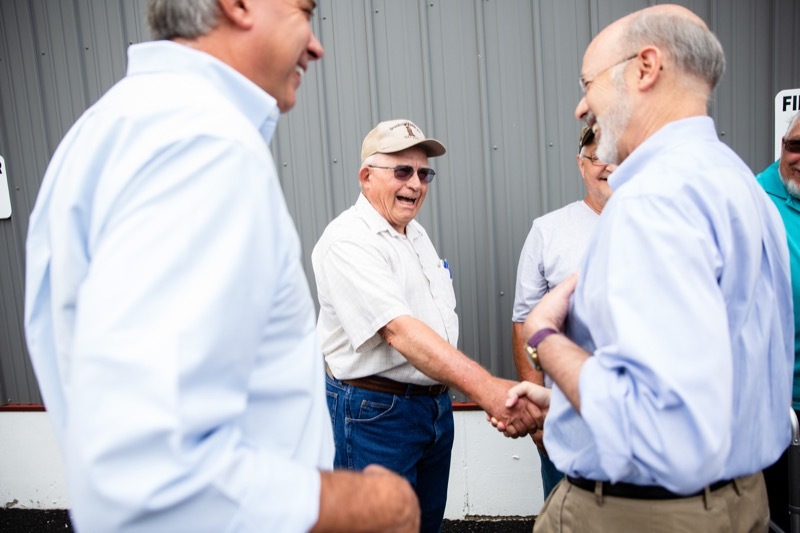 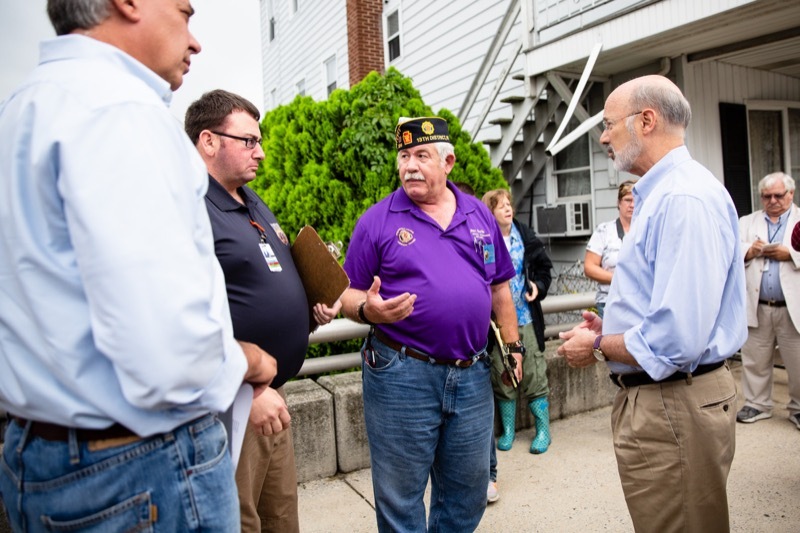 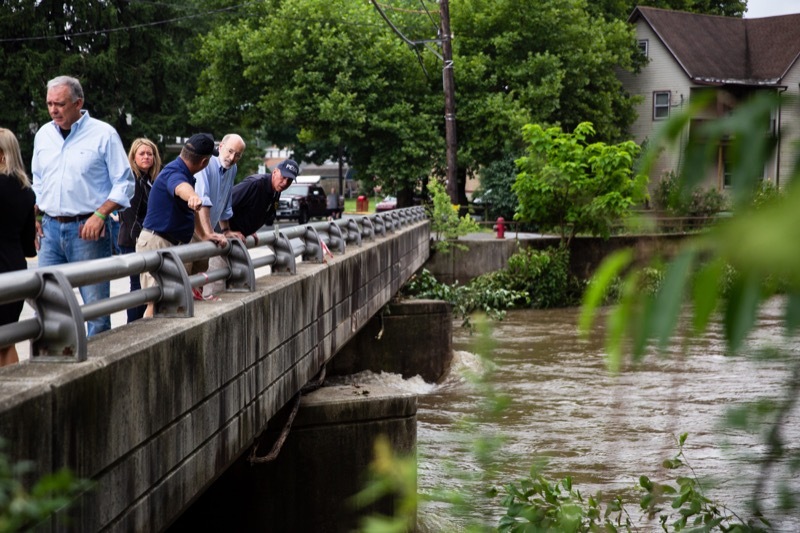 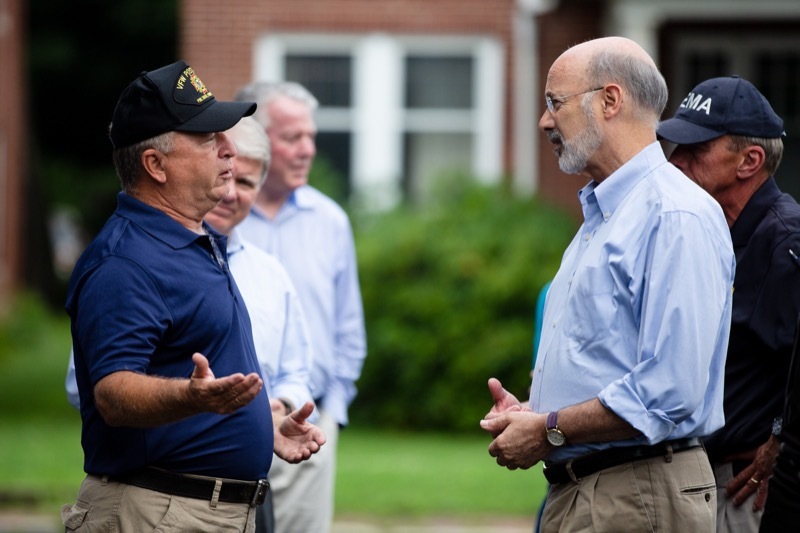 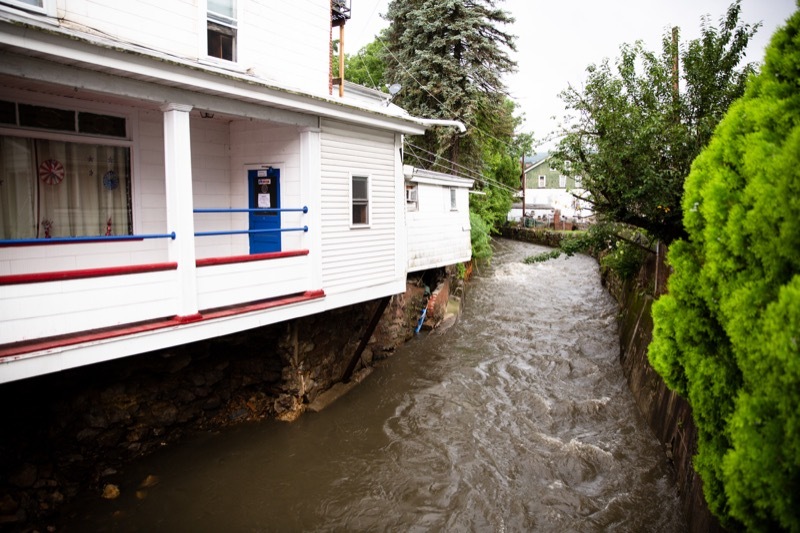 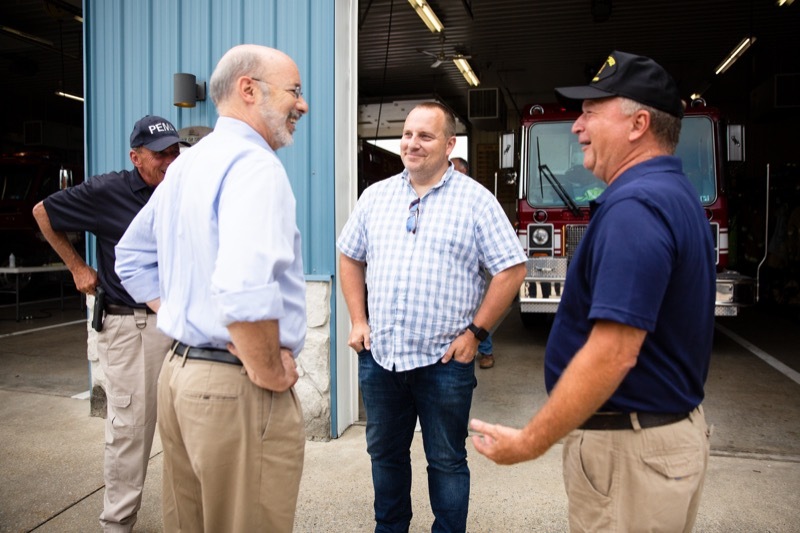 Governor Wolf visited Schuylkill County to tour some of the areas affected by the heavy rains and flooding that have swept through the commonwealth. 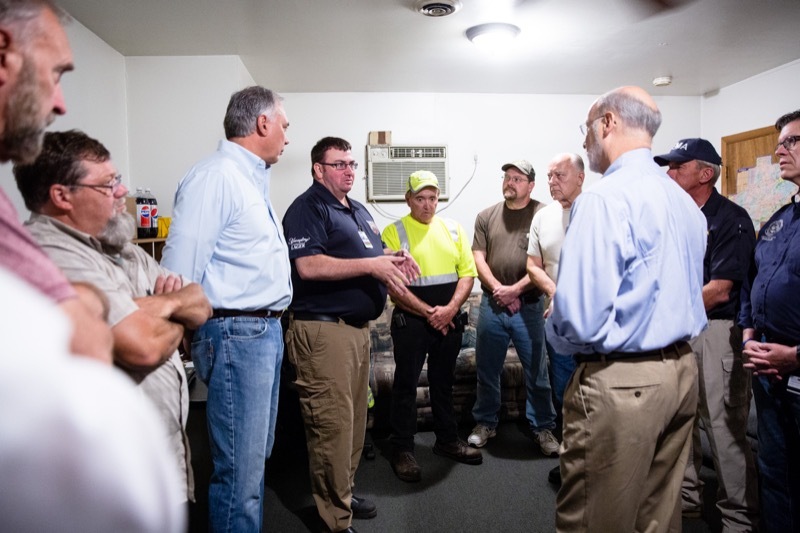 The governor, joined by PEMA director Rick Flinn, and Schuylkill County emergency management personnel, visited areas hardest hit in the western portion of the county, including damage to homes, roads, bridges, and landscaping from streams that experienced flash floods. 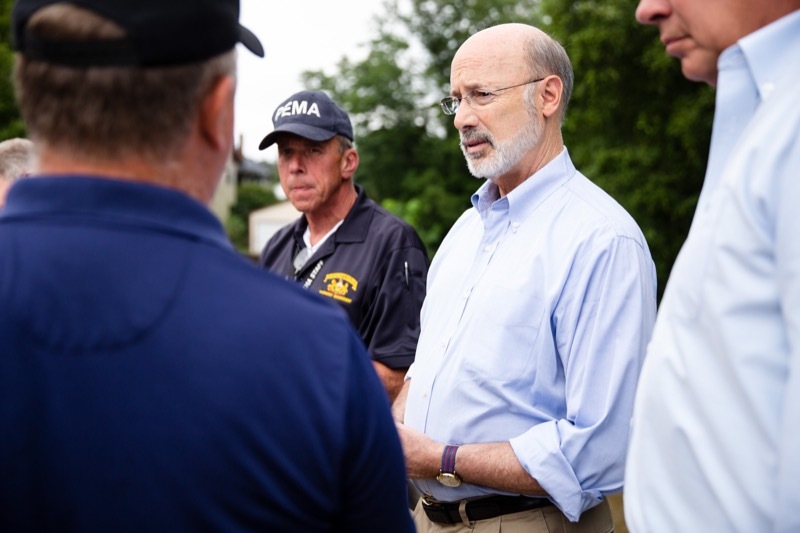 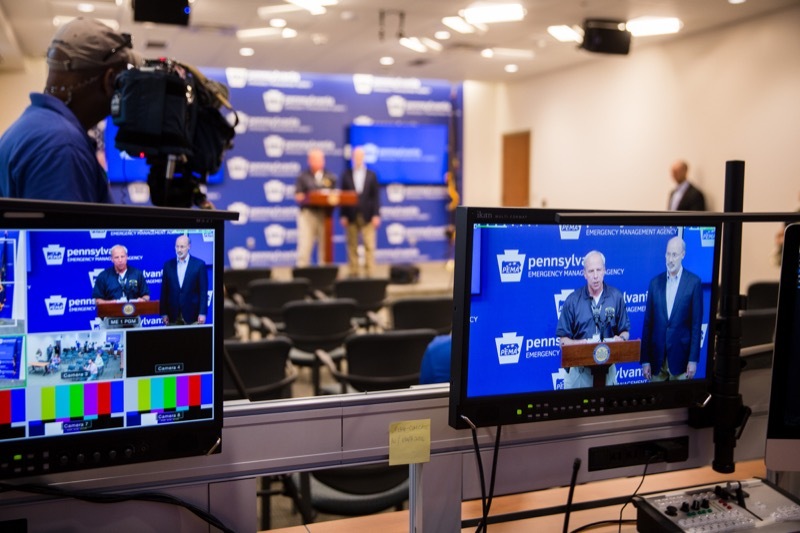 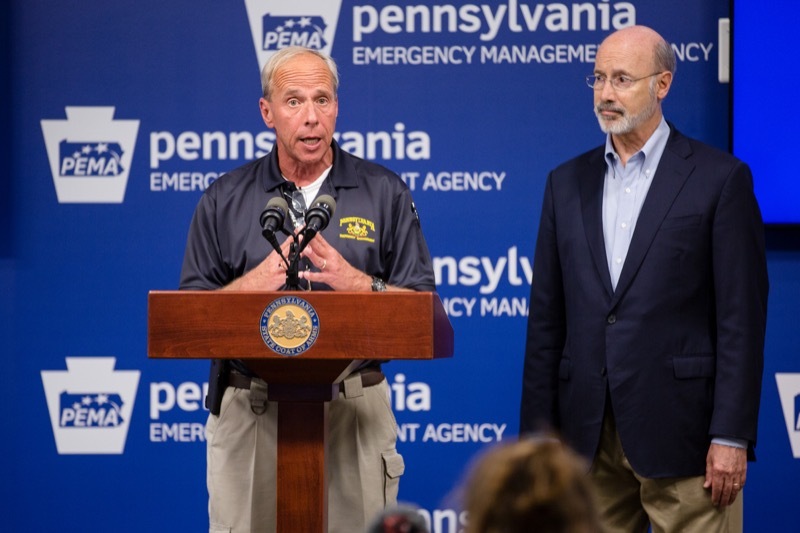 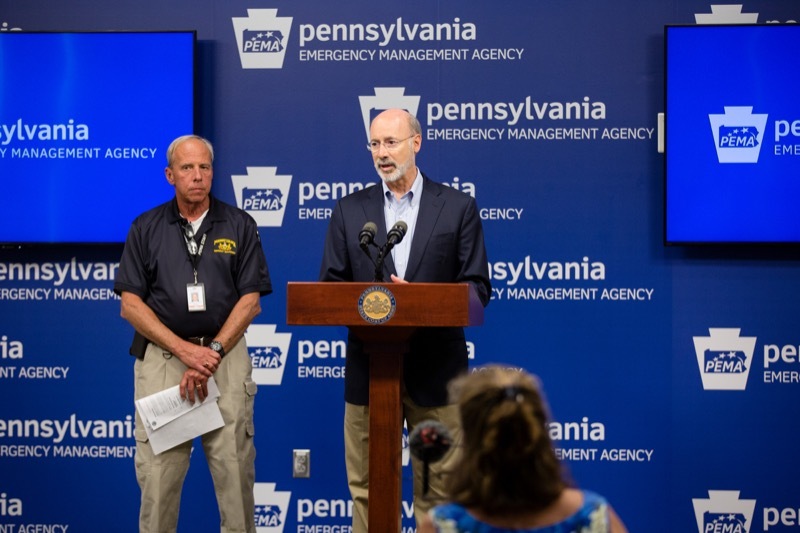 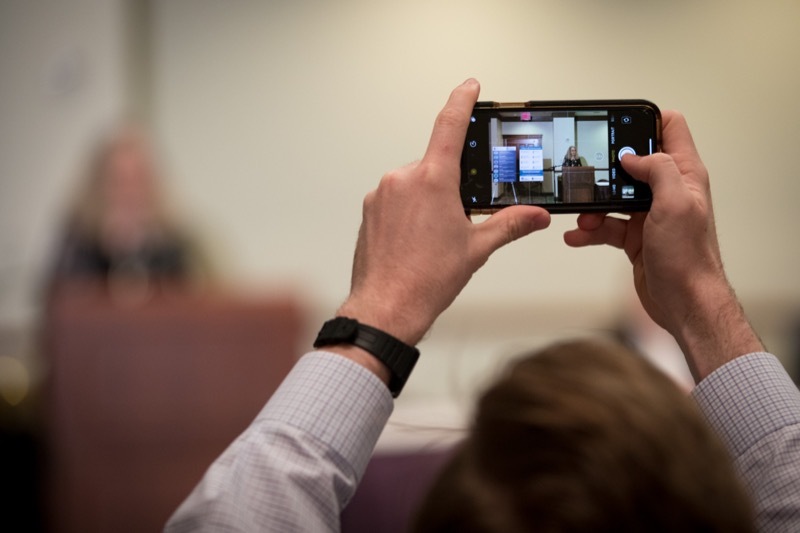 At the conclusion of today's tour of central Pennsylvania areas impacted by heavy rains and flooding, Governor Tom Wolf and public safety cabinet officials provided a briefing at the Pennsylvania Emergency Management Agency on the extent of the impact and next steps for clean-up. 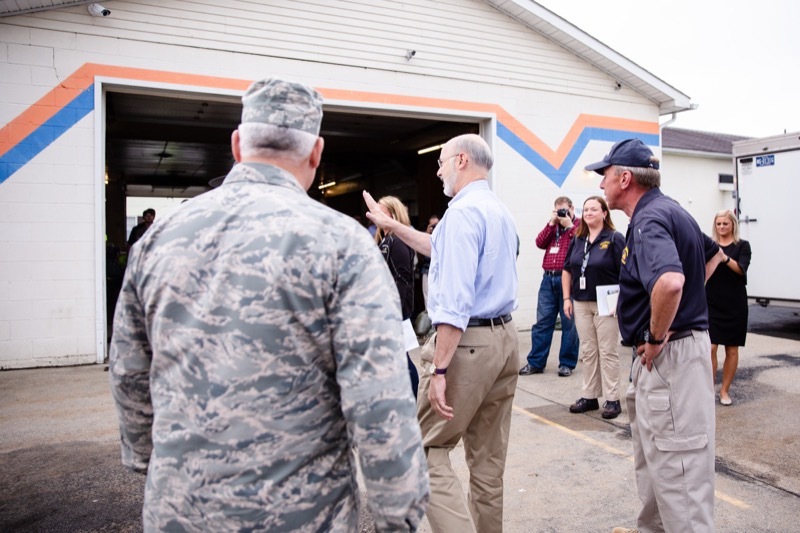 Harrisburg, PA - At the conclusion of today's tour of central Pennsylvania areas impacted by heavy rains and flooding, Governor Tom Wolf and public safety cabinet officials provided a briefing at the Pennsylvania Emergency Management Agency on the extent of the impact and next steps for clean-up. 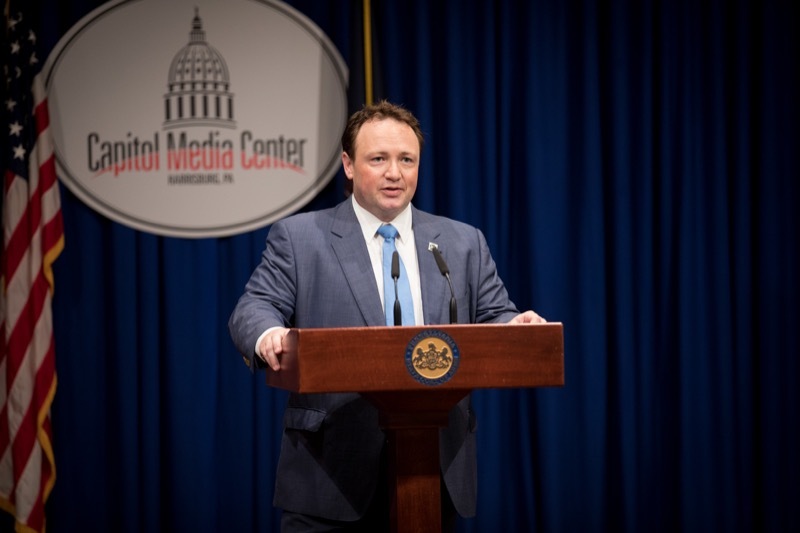 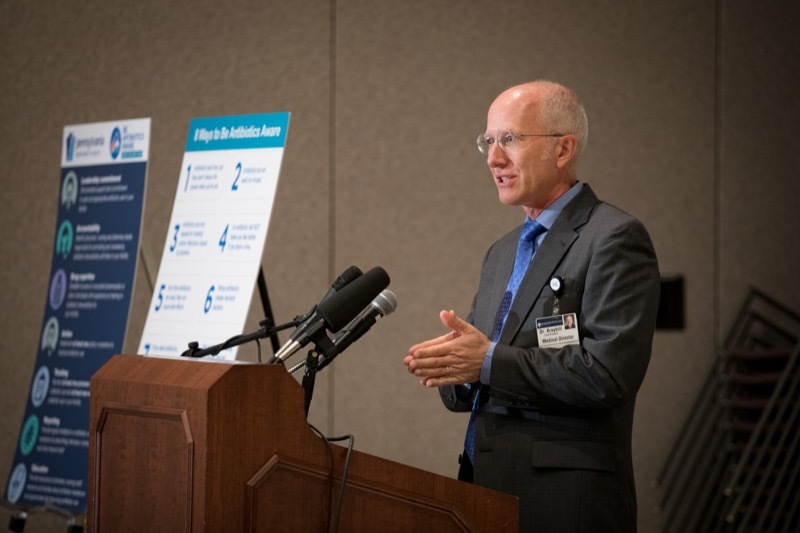 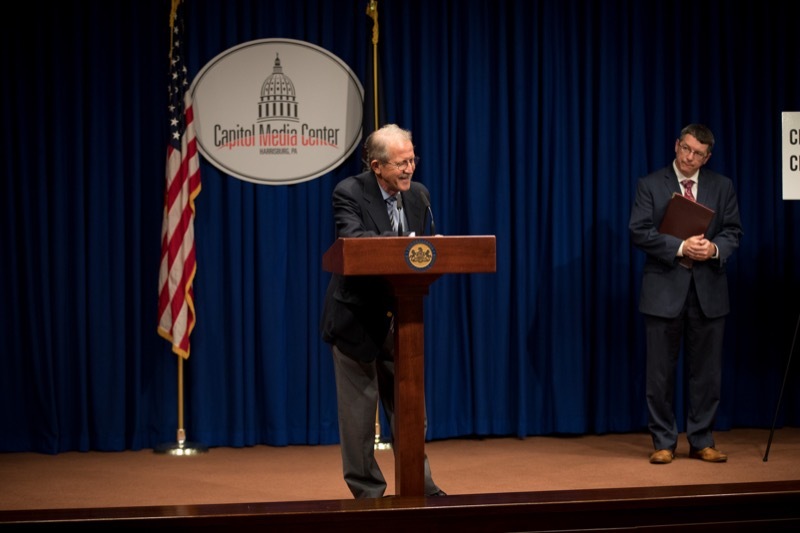 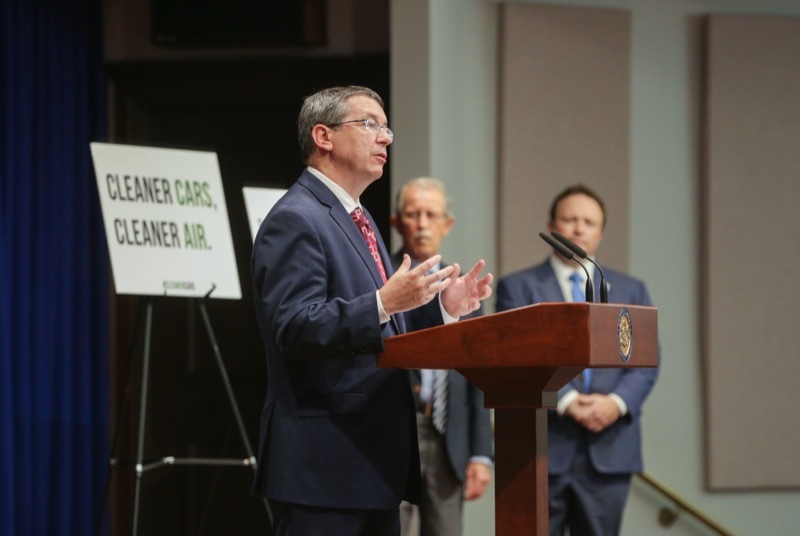 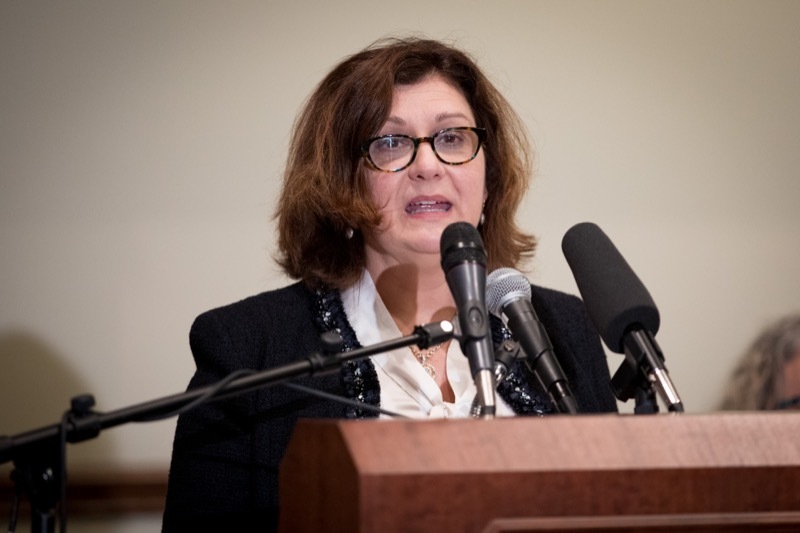 Pennsylvania Department of Environmental Protection (DEP) Secretary Patrick McDonnell and leaders from the health and environmental communities today condemned the Trump administration's plan to weaken federal vehicle efficiency standards. 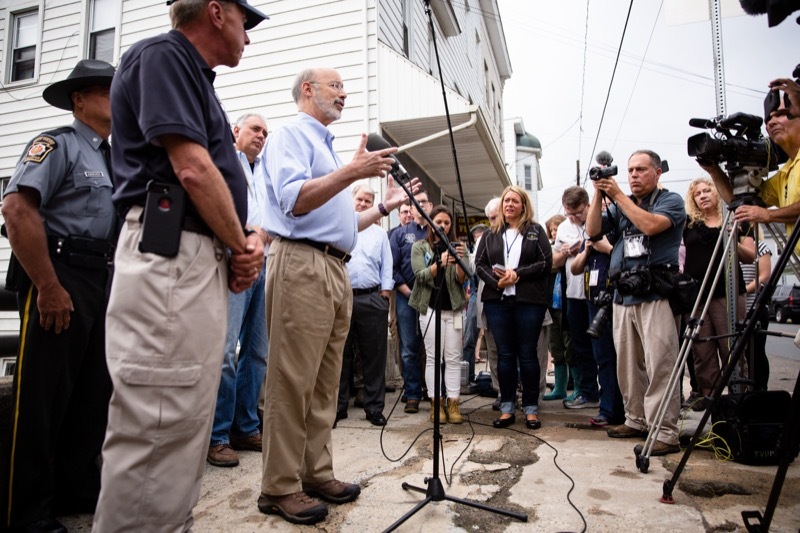 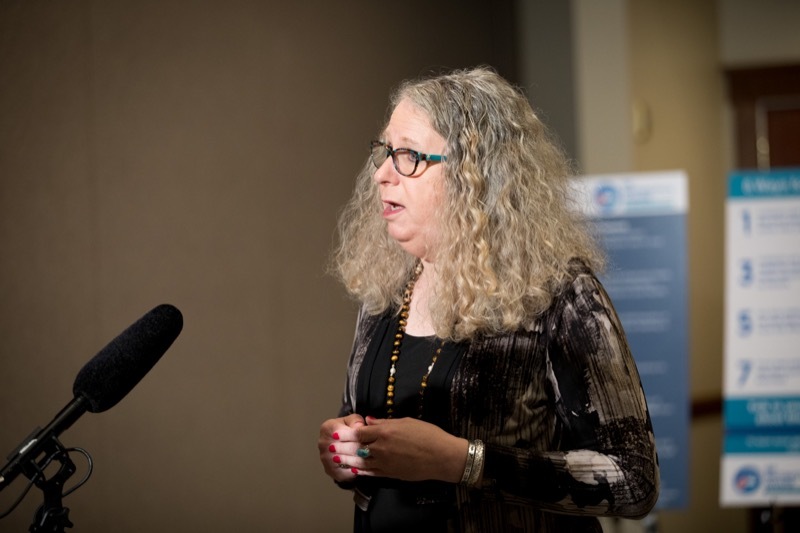 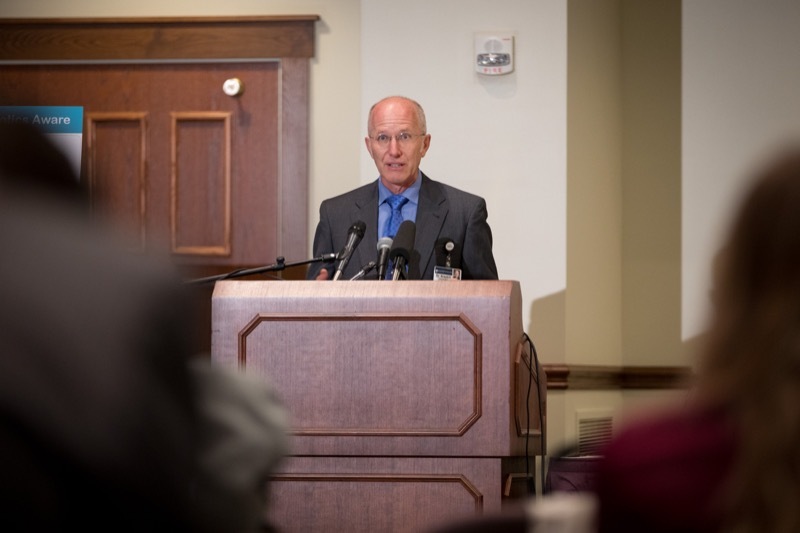 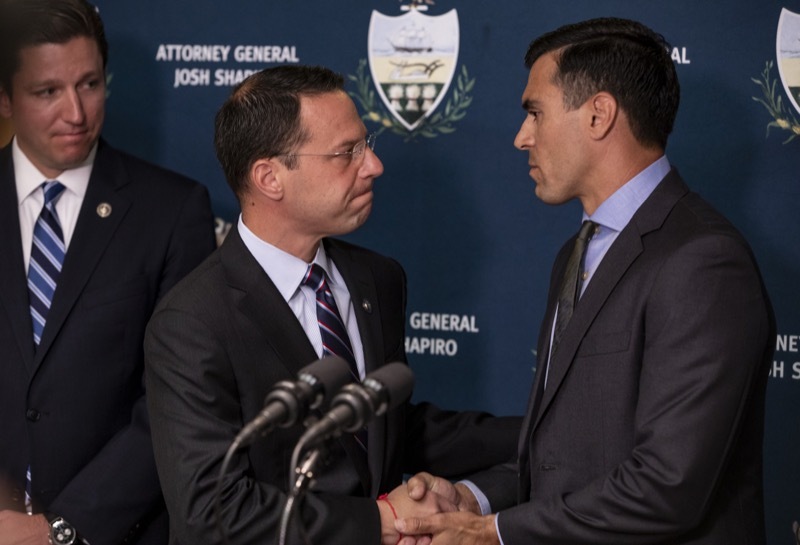 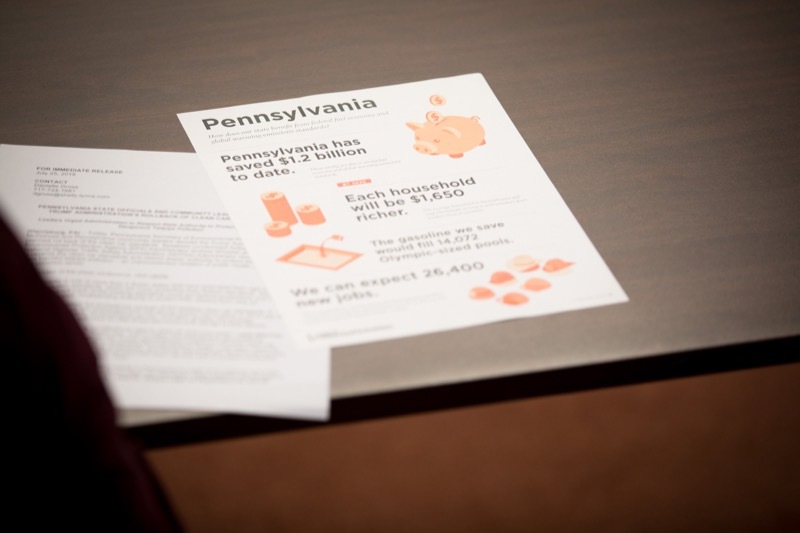 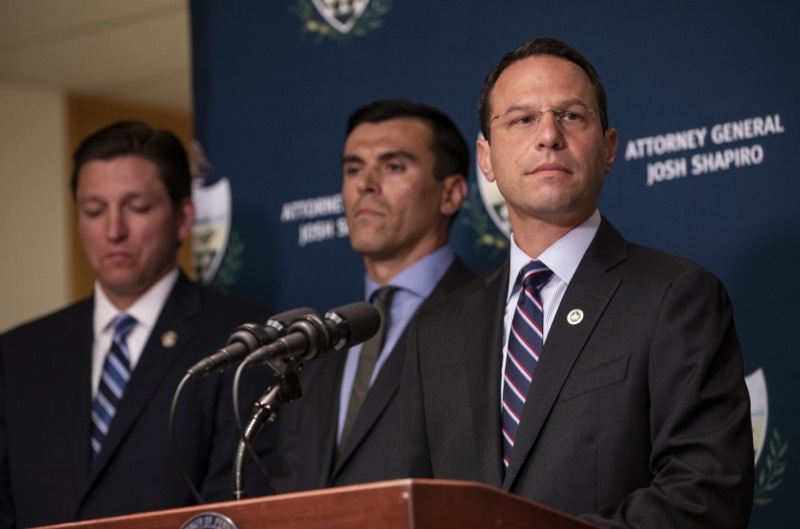 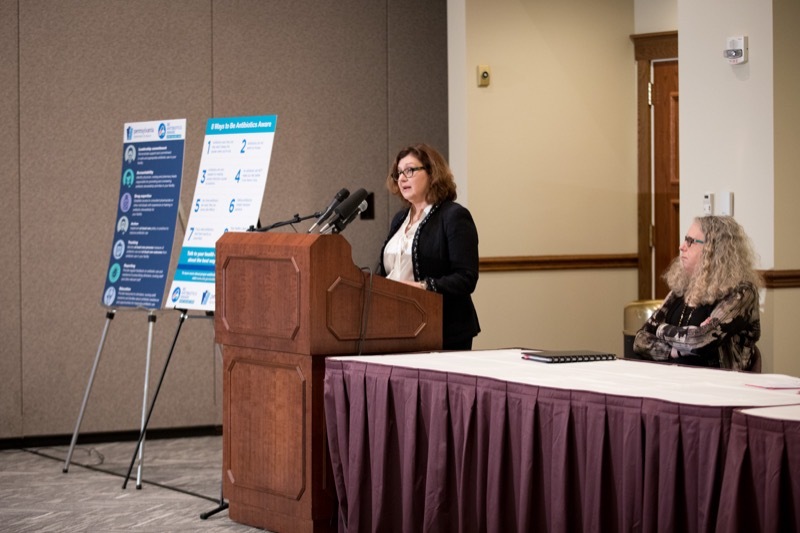 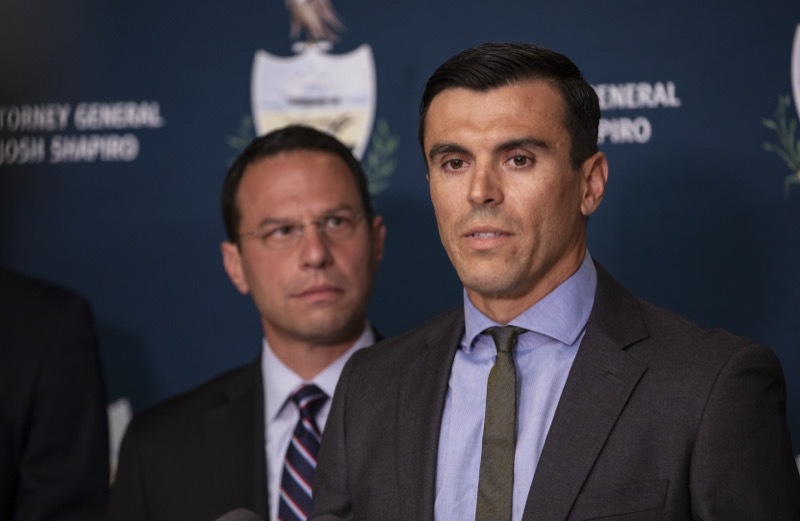 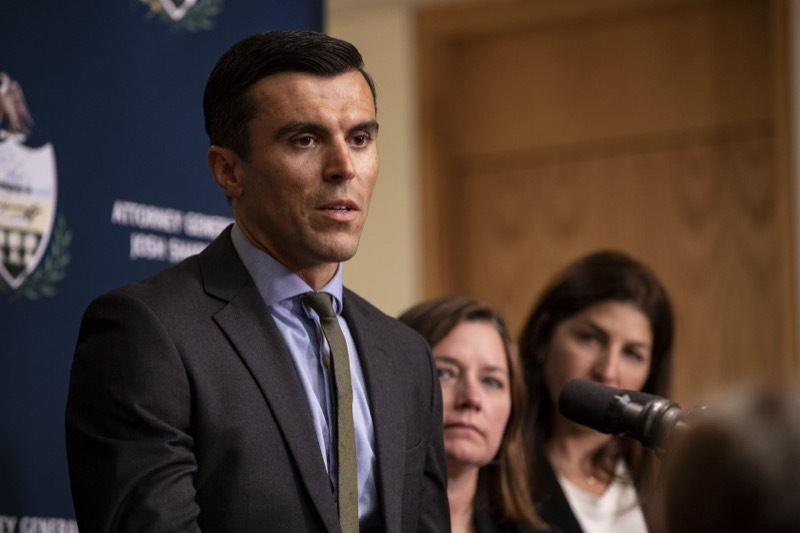 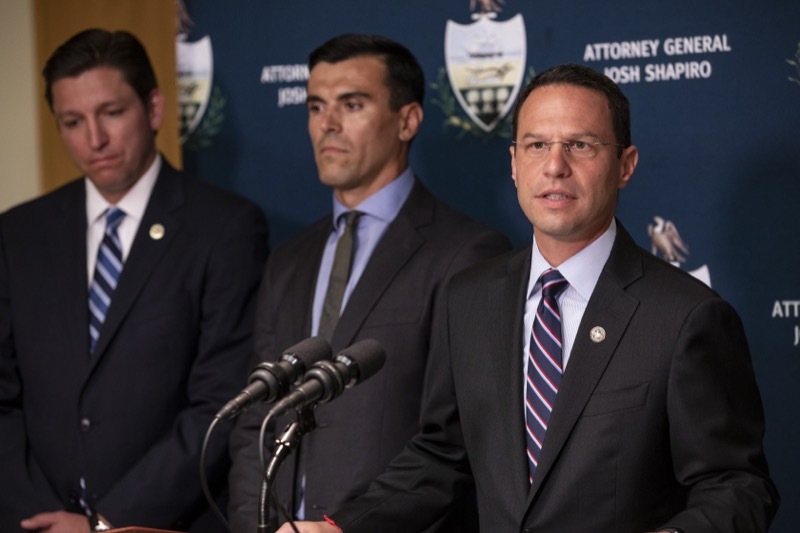 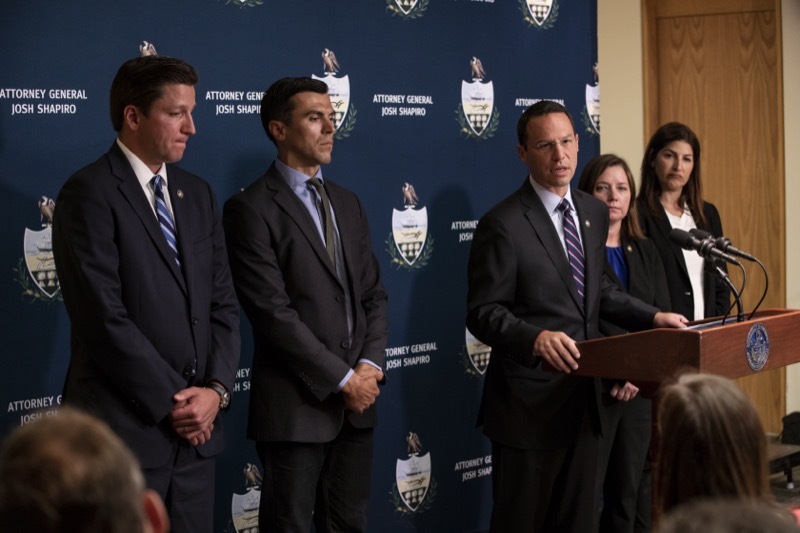 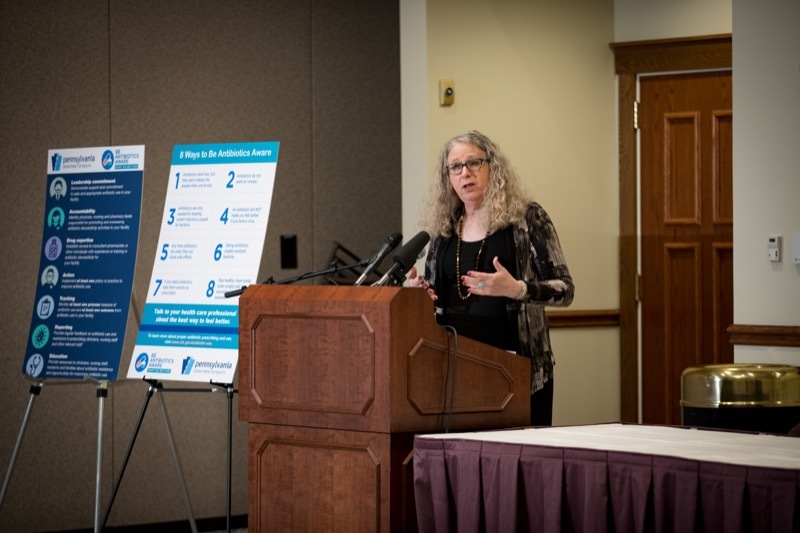 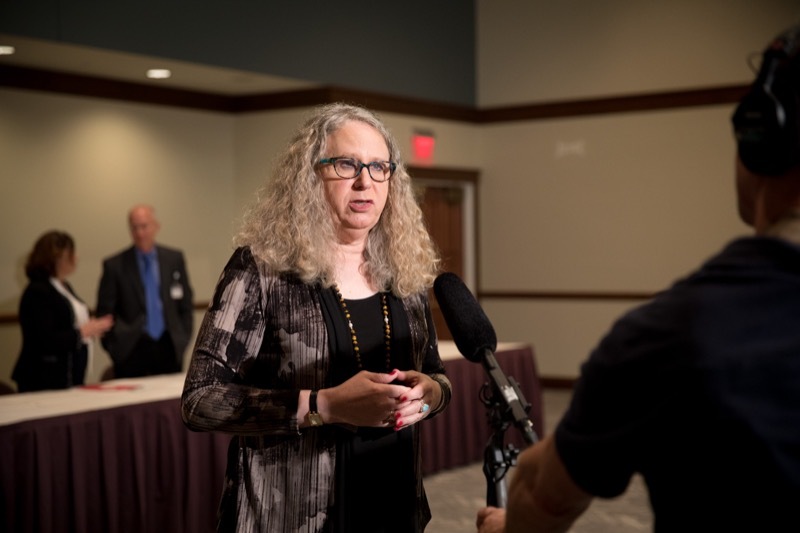 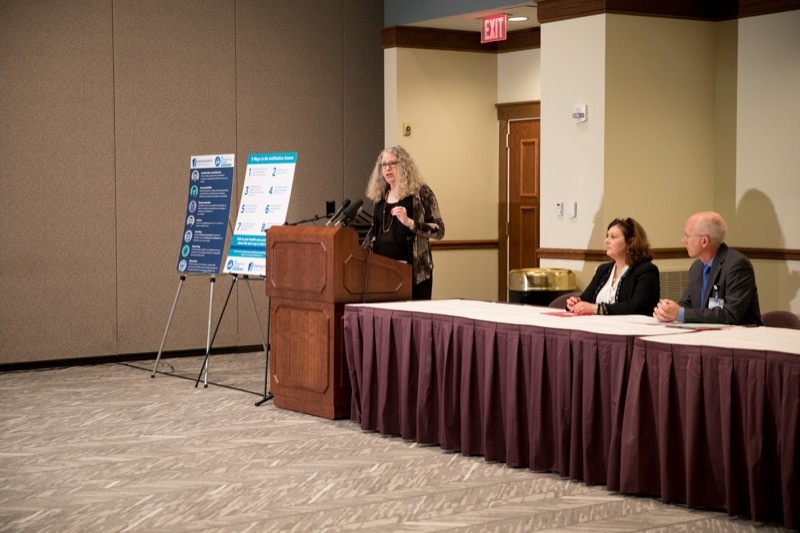 McDonnell was joined by representatives of Physicians for Social Responsibility and Conservation Voters of Pennsylvania condemned the proposed weakened rules. 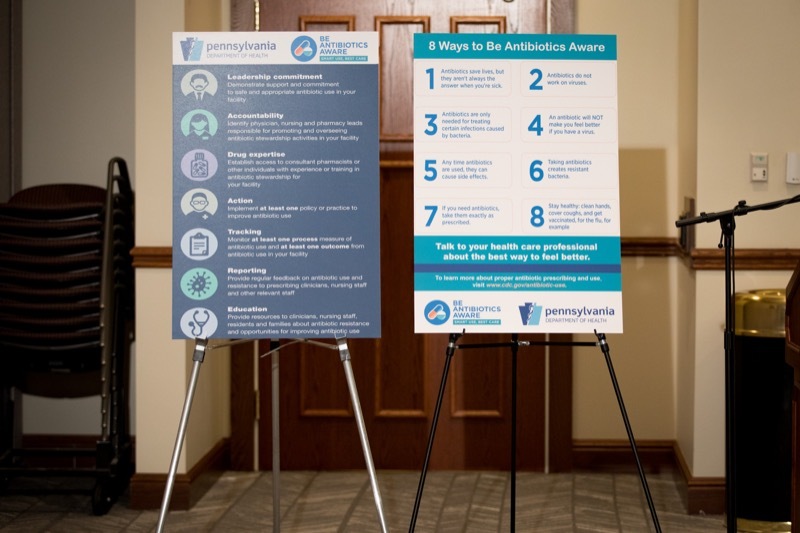 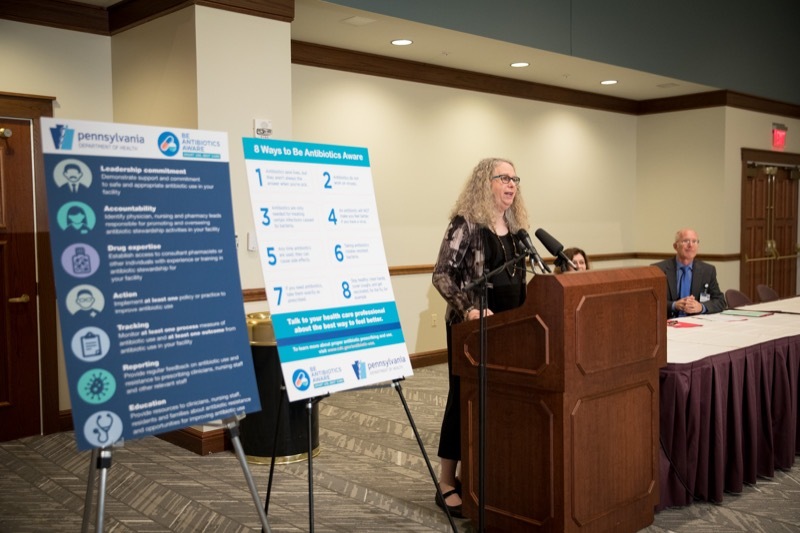 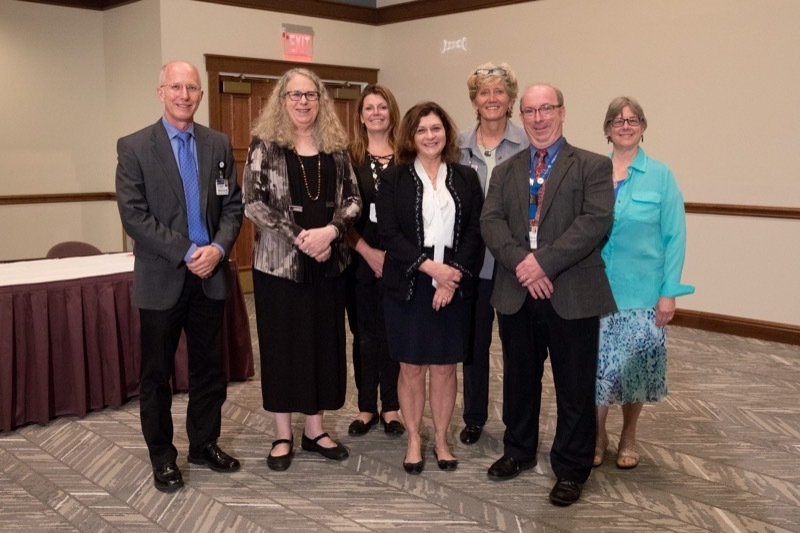 Today at Masonic Village Nursing Home in Elizabethtown, Wolf Administration officials emphasized the importance of improving antibiotic stewardship practices and reducing inappropriate use of antibiotics.